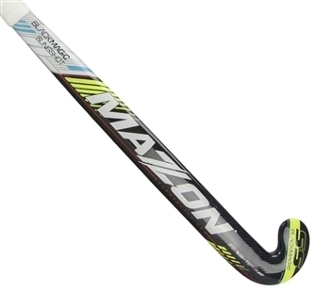 The Ultimate Mazon drag flicking stick is back for 2014. The Slingshot has an X-Bow (FIH approved) designed for drag flicking without losing any control or trapping ability. The open MAXI head shape with TCZ helps to pick up the ball and provide perfect control. Includes RVS+, THZ, KDZ, & TS9. Used by Kookaburras superstar Kieran Govers.